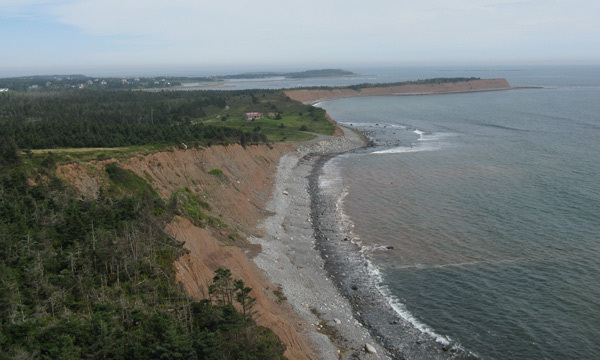 Description of Site: Coastal ridge soaring site with southern and western facing ridges. A relatively new site with narrow launches and beach landing. Specific Hazards: West launch: As launch is small, and there are tall bushes behind launch, care is needed when inflating/dropping the wing. This launch is best for light to medium (<25kph) winds only. Also, as the ramp is in a bit of a corner in the ridge, wind must be quite westerly, as launch is in a wind shadow when there is too much of a southern component to the wind. LZ Description: West launch area: Lots of rotor behind the cliff edge due to severe back slope, therefore a good place to land is on the sandy area of beach in front of the launch. If wind is light it is possible to top land on the launch or right beside it, as long as care is taken not to drop the wing onto the surrounding bushes. South launch area: this area is flat and large enough that it is suitable for toplanding near the cliff edge to avoid any possible rotor further back. The beach in front of the South launch is rocky/sloped and not very good for landing. However, just east of the launch there is a short driveway running parallel to the beach, and landing on the driveway or in the tall grass just behind the driveway works well but the landowner has stated that they like their privacy so it is best to topland as much as possible and keep landings on the driveway to a minimum.